Trump's fault? This guy is as much a loony tune as the rest of the commiecrats. I forget about this guy until he opens his mouth with something idiotic. There are so many unintelligent congressmen, it's hard to keep track. What a maroon! What a Tah-rah-rah-BOOM-de-ay! If only that mean, bigoted Trump hadn't ordered the editor of the med school yearbook back in the mid-1980s to run that horrible photo of the future governor (knowing, of course, that Northam would enter politics decades down the road)! How is Northam’s own bigotry in the 1980s the fault of Donald Trump in 2019? Yes @austingirl It is continually brought home just how many 'dumb as a post' congress critters there are, with 99.9% of the dumb ones being democrats. It becomes really obvious when, one by one, they open their mouths to question a candidate for office.as in the Whittaker hearing. I gotta love this one, though. It's Trump's fault a Democrat Governor gets nailed for a racist yearbook photo from the early 1980's, and should be impeached because of it. The Rats are just getting better and better. The fact this Al Green guy is as ugly as a bucket of armpits is just that thin layer of icing on a wonderful cake. If Donald Trump was racist, would he have agreed to appear on "The Fresh Prince of Bel-Air"? 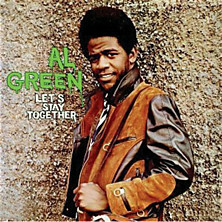 Al Green, Didn't he sing "Lets Stay Together"? Al Green couldn't find his azz with both hands and an instruction manual. I'm not worried in the least. How is Trump responsible for a blackface incident that happened 33 years ago? Sorry, Al, still no valid grounds for impeachment. He's just mad because his name is Al Green and he can't hold a note OR attract a white chick. Politics is a dangerous weapon in Al Green’s hands. It should come with handling and safety training, blanks and maybe an ankle bracelet with a live feed, so someone could intervene if he nears a microphone. I must admit, the stretches in logic I see in Congress these days is amazing. It's like we are viewing Congress via Alice's looking glass...the horror version. 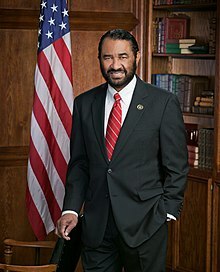 "Dem Rep. Al Green says Va. blackface scandals ‘a symptom’ of Trump’s bigotry, vows impeachment"
Correct. Not the p0rn version. Page created in 1.203 seconds with 21 queries.